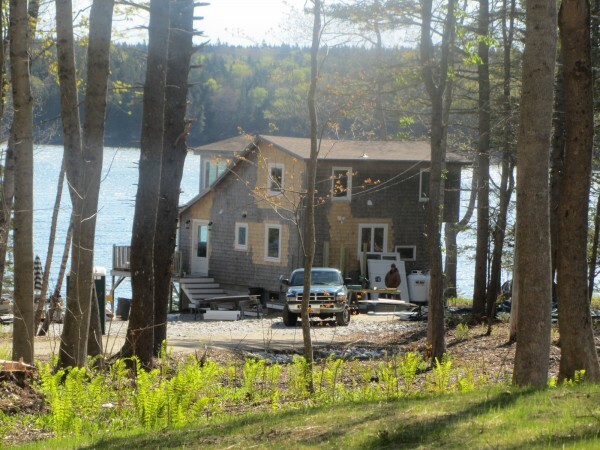 This waterfront property in Owls Head, that was valued by the town at nearly $500,000, was sold by the state for $205,000 while its owner was in a psychiatric hospital. OWLS HEAD, Maine — The state took an oceanfront home, a car and beloved cat from a Rockland man while he was living in a state-run mental hospital, according to a lawsuit filed by his sister. Earlier this year, the state sold oceanfront property owned by William T. Dean Jr., who was living at the Dorothea Dix Psychiatric Center, at below-market rates despite efforts by relatives to keep the longtime estate in the family. A lawsuit filed Friday in Knox County Superior Court also claims that the state had his cat euthanized and that considerable personal property is unaccounted for. The lawsuit was filed by Dean’s sister Claire Dean Perry of Liberty against the Maine Department of Health and Human Services; Key Trust Company National Association, which managed her family’s trust account; and her 67-year-old brother. The two-story house that William Dean owned was sold by the state for $205,000 in January although the town had it assessed at nearly $476,840. According to the lawsuit, William Dean was hospitalized for mental health problems in 2012 after his mother, Alice Dean, died in January of that year. The Maine Department of Health and Human Service’s Office of Elder Care Services obtained conservatorship of William Dean’s property in September after filing a motion with the Penobscot County Probate Court, a move family members said they were not notified of before the action was taken. The state said it needed to be appointed legal financial manager for Dean, saying he was incapacitated and that his property at 9 Castlewood Lane in Owls Head and his home at 298 Broadway in Rockland were close to being foreclosed on by those municipalities for nonpayment of property taxes. The human services department told the court it planned to sell the properties at fair market values to pay off the back taxes and preserve remaining assets to be used for Dean’s care at the state-run psychiatric hospital. The Owls Head property consists of nearly 1 acre with 100 feet of frontage on the ocean. A two-story, 1,000-square foot home is located near the shore. The state put the Owls Head and Rockland properties on the market in November. The initial asking price for the Owls Head property was $340,000 but two weeks later it was reduced to $299,000. A contract was reached with a potential buyer in December for $205,000. Dean’s sister and cousin Pam Vose filed a petition in December with the probate court in Penobscot County to have Vose appointed conservator and guardian, according to probate court records and the lawsuit. The sister also filed a petition with the court on Jan. 10 to block the sale of the Owls Head and Rockland properties and had notified the state before that date that she planned to make such a request on that day. Claire Dean Perry argued in the lawsuit that the fire-sale approach being used by the state would waste Dean’s assets. The sister said family members had argued to the state that there were other options such as taking out a loan to pay the $5,192 in back taxes on the Owls Head home and $2,329 owed to Rockland. The Owls Head home had been bought by the Dean parents in 1972 and had been a regular gathering spot for family outings. Despite the attempt to block the sale, the state sold the property on Jan. 9 to James Taylor, who lives in both Danvers, Mass., and Owls Head, for $205,000. Somerset County Probate Judge John Alsop rejected the family’s request for a restraining order for the sales, saying they were reasonably calculated to realize the best price based on the fair market value. Penobscot County’s probate judge was not available at the time to handle the case. William Dean also wanted the proposed sale to take place, Alsop ruled, and that the money was needed to finance his living expenses. A delay in the sales of the homes, which he said were in poor condition, could result in a further decline in their values. Owls Head Assessors Agent Tom Edwards questioned the sale price by the state. “I think the state may have rushed,” Edwards said Tuesday. David Vaughan, an estate management specialist for the Maine Office of Elder Services, declined to comment when contacted by telephone Tuesday. Vaughan signed over the deed to the Owls Head home. He said he could not comment because of lawsuit. DHHS spokesman John Martins had no comment on the lawsuit. The Rockland property is a two-story, 2,000-square-foot colonial home on less than a half acre assessed by Rockland for $177,200. The state is asking $69,900 for the property, which has yet to be sold. In addition to the sale of the property, the sister stated in the lawsuit that DHHS euthanized her brother’s beloved cat Caterpillar and sold his cherished Cadillac without the family being notified. The human services department has also failed to give a full accounting of numerous personal items that had been in the homes, reportedly including musical instruments such as expensive organs and other unspecified family heirlooms. DHHS’ conservatorship ended on May 2. Vose’s request to be appointed conservator and guardian for William Dean will be heard by the probate court in August. Claire Dean Perry argued in her lawsuit that the state erred because it knew she had a financial stake in both properties after her brother, who suffered from a mental illness, had improperly drained a family trust that was for both siblings. She said she had suspected that her brother had been taking more money from the trust account than he was entitled and that Key Trust Co., which managed the trust, had blocked her attempts to get a full accounting. Attorney Joseph Belisle, who represents William Dean on the pending conservator and guardian issue, said he does not represent Dean on the lawsuit and thus had no comment on the case. On Friday, Justice Andrew Horton ruled in Knox County Superior Court that Claire Dean was more likely than not to win a judgment against her brother and Key Trust Co. and placed a lien of $120,000 on William Dean’s remaining assets. The judge issued his decision without a hearing to prevent the remaining assets from being sold off. Dill said she hopes that this attachment on his remaining properties would block the sale of the Rockland property. And with the conservatorship ended, William Dean now has decision-making authority over such a sale. Claire Dean Perry’s lawsuit alleges that DHHS breached its financial responsibility to William Dean’s property, deprived him of his due process in the handling of his property, and interfered with her financial stake in the properties. She also alleges Key Trust breached its financial responsibility. Lynne Woodman, a vice president for media relations for Key Trust, said the company would not comment because it has a policy not to comment on lawsuits. Dill said she has filed a freedom of information request with DHHS to find out how often it has sold properties belonging to people for which they are conservator. She said the state told her last week it was researching the information. Stephen Betts can be contacted at sbetts@bangordailynews.com or @Scoopbetts.